Summer has finally arrived and with the beautiful long sunny days and weekends at the seaside come the torrid temperatures that make everything more difficult, including sleeping well. 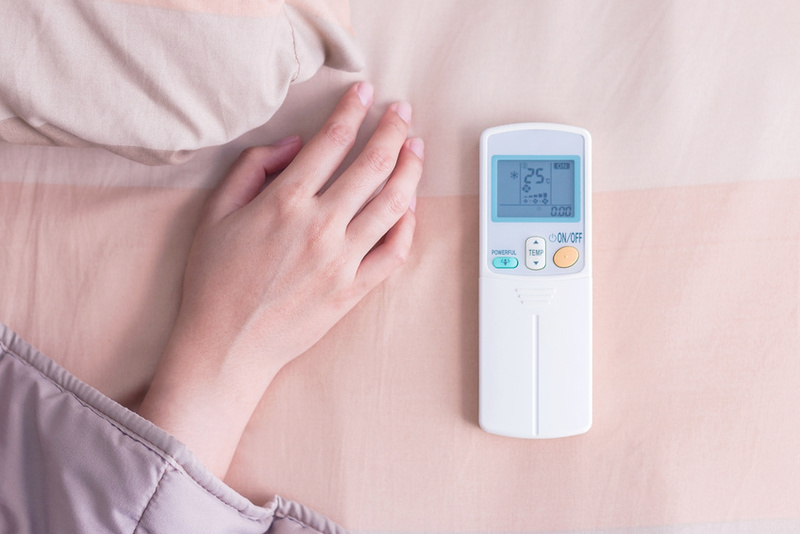 Not for nothing, according to a survey conducted for PerDormire by the University of Reggio Emilia, the temperature of the bedroom is at the top of the list of factors that promote a good sleep for 39% of those interviewed. The quality of sleep depends on a series of factors that remain more or less unchanged over the course of the year. Balanced, light meals at the end of the day, limited or no alcohol consumption, TV turned off half an hour before bedtime, electronic devices turned off (not on standby) or away from the bed, are the golden rules to ensure a good night’s sleep. The supine position does not aid digestion which, in turn, if it does not occur correctly, can make for a restless sleep. Alcohol consumption can cause micro-awakenings. On the contrary, an adequate water supply to the body is a healthy cure-all at bedtime as well. As for television, it’s best to let your eyes gradually get used to the dimming of light rather than to pass abruptly from a room lit by a screen to absolute darkness. This helps you wake up in a pleasant way and avoid annoying morning headaches. Finally, it is well known that electromagnetic fields interfere with brainwaves making it harder to fall asleep. There are some measures you can take to help to minimize the effects of heat on your sleep and make it seem cooler than it actually is. A good stratagem for sleeping well, which also helps your muscles relax, is to take a shower, or even better, a bath at the ideal temperature. It’s better at around 37°C so as not to deviate too much from the body’s natural temperature during the R.E.M. phase. Do not underestimate textiles: it is better to use pure cotton sheets and pajamas or better still, linen, fabrics renowned for their coolness. In addition, contrary to what many think, in summer it’s a good idea to wear at least an undershirt and briefs to absorb any body sweat. The use of air conditioning should be avoided. Ideally, it should be turned on a couple of hours before going to sleep to create the right climate in the bedroom and switched off right before going to sleep. The fan, instead, should not be aimed at the bed, as there is the risk of causing unpleasant stiff necks or sore throats. It is the movement of the air that gives the feeling of coolness, so it is not necessary for the jet to be directed towards us to sleep well without feeling too hot.